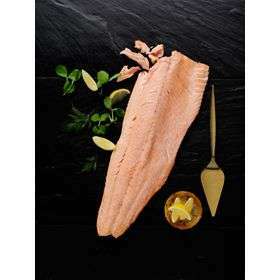 A large salmon side is a classic centre piece for the Christmas table so is perfect for the Asda fish range at christmas This salmon side is perfect for a stunning centre piece to the Christmas table or a buffet. It is high in omega 3 fatty acids. The salmon once cooked is then very versatile can be eaten either roasted in a maple glaze with roasted new potatoes, courgettes and peppers or eaten cold in a quinoa salad and beans. Using the daily mail as a legitimate media resource tends to detract quite heavily from your point. If we listen to the media we would never eat anything. I eat fresh veg, fruit and fish and none processed food wherever possible (I cook proper meals 2-3 times a day), but short of having my own supply of fresh fish, meat, vegetables and everything else it is very difficult to avoid all of the food healthscaresi we get bombarded with each week. Yes, if you read the Daily Mail for 3 months you’ll find most food items give you cancer and also that most food items protect you from cancer. Don't keep me hanging, what happens to my toast?? I really like salmon and it would all perfect only if farmed fish wouldn't be so toxic! I'd stay away from any farmed fish at all. Using the daily mail as a legitimate media resource tends to detract quite …Using the daily mail as a legitimate media resource tends to detract quite heavily from your point. 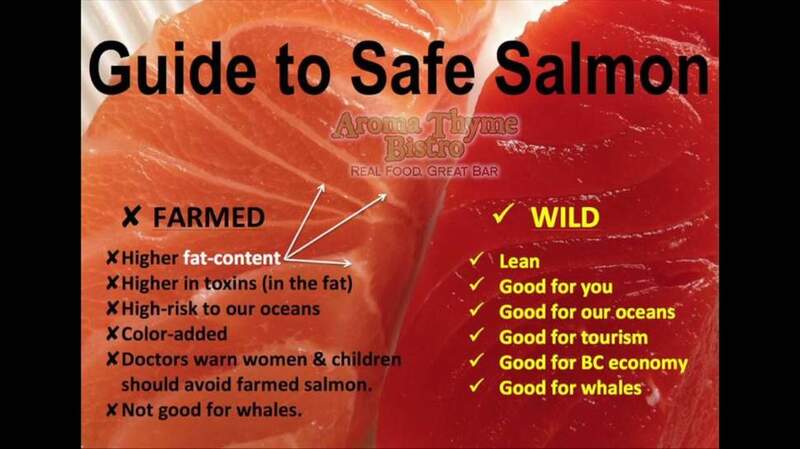 I buy wild (yes,yes but intensively farmed Salmon is gross) but the salmon i am interested are the out at sea salmon farms- as i understand the fish are in clean,flowing seawater so they need to swim and must be cleaner with less parasites and antibiotics needed ? Am i right in thinking that and if yes, how can i check that is the salmon i am buying and not intensively farmed ? 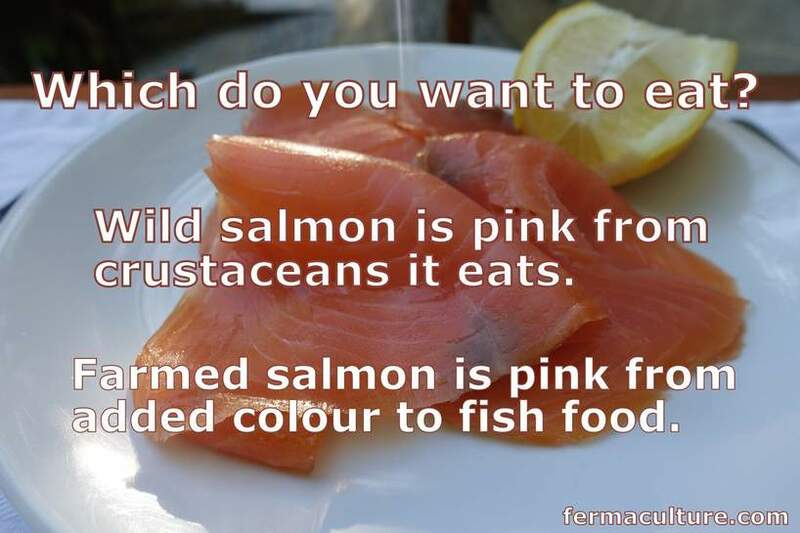 Farmed salmon isnt as good for you as wild but as there are very few british wild and as they are very expensive then farmed is the only option. I wouldnt eat alaskan wild salmon if you paid me due to the radioactive contamination of the north pacific.. 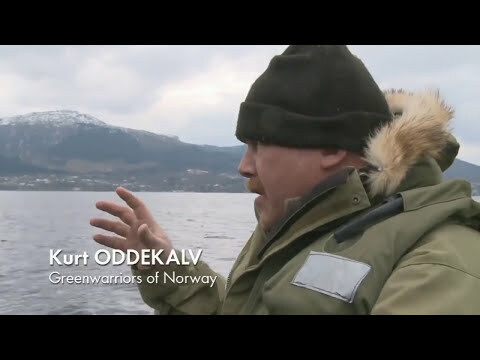 I buy wild (yes,yes but intensively farmed Salmon is gross) but the salmon …I buy wild (yes,yes but intensively farmed Salmon is gross) but the salmon i am interested are the out at sea salmon farms- as i understand the fish are in clean,flowing seawater so they need to swim and must be cleaner with less parasites and antibiotics needed ? Am i right in thinking that and if yes, how can i check that is the salmon i am buying and not intensively farmed ? Whole organic ones carry an organic emblem and origin gill tag.Not much more expensive than normal farmed,but way cheaper than wild salmon.The more in the farm pens , the less of a fin as well.Even if filleted i always kept the tag on display tray for customers. something a little fishy going on here? Hello guys nothing is as bad as fast food as long as you keep a balance in your diet including regular vitamins and minerals also cold pressed oils instead of refined ones. You should be ok good stuff is expensive for a reason. This wouldn't serve 8 kids never mind adults! 1 man could eat this all in 1 day. ASDA or Morrison is sometimes doing £5 - £6 /kg for whole Salmon. This is definitely a better vfm then Salmon Side. You also still ask them to fillet it for you. Has anyone see the deal for whole salmon ?? Normally available week before Christmas! I prefer to get my salmon from the wild source tbh. Yeah, I have to fight the bears for it but that just adds to the eating experience. Whole organic ones carry an organic emblem and origin gill tag.Not much …Whole organic ones carry an organic emblem and origin gill tag.Not much more expensive than normal farmed,but way cheaper than wild salmon.The more in the farm pens , the less of a fin as well.Even if filleted i always kept the tag on display tray for customers. I am interested in this. Agree with going organic when possible. Where would you suggest we get organic salmon (fresh or frozen, whole or fillet)? My personal preference is frozen as that is processed soon after catch. I do not trust 'fresh' ones in supermarkets, as i never know how fresh they truly are. I dropped on the last Morrison's salmon deal on here at £5 per kg. The picture looks like a very big tongue from an ill person. I am interested in this. Agree with going organic when possible. Where …I am interested in this. Agree with going organic when possible. Where would you suggest we get organic salmon (fresh or frozen, whole or fillet)? My personal preference is frozen as that is processed soon after catch. I do not trust 'fresh' ones in supermarkets, as i never know how fresh they truly are. Proper fishmonger if possible,I know that's not possible in some area's though.see if one has a delivery van that goes to your area.Also the van should be refrigerated. Yes, if you read the Daily Mail for 3 months you’ll find most food items g …Yes, if you read the Daily Mail for 3 months you’ll find most food items give you cancer and also that most food items protect you from cancer. I cannot unsee that now! I caught a wild salmon once, I say wild, it was bloody livid!